It’s been a long time since I have blogged. Now I’m back and my style of jewelry is evolving. My designs are original, and that works best for me. I cam across the darkest London Blue Topaz I had ever seen. 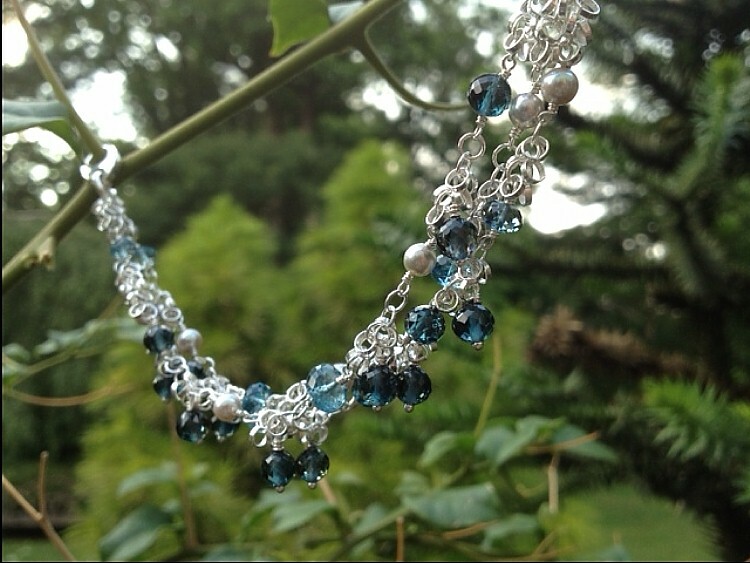 Two strand in different shape beads. 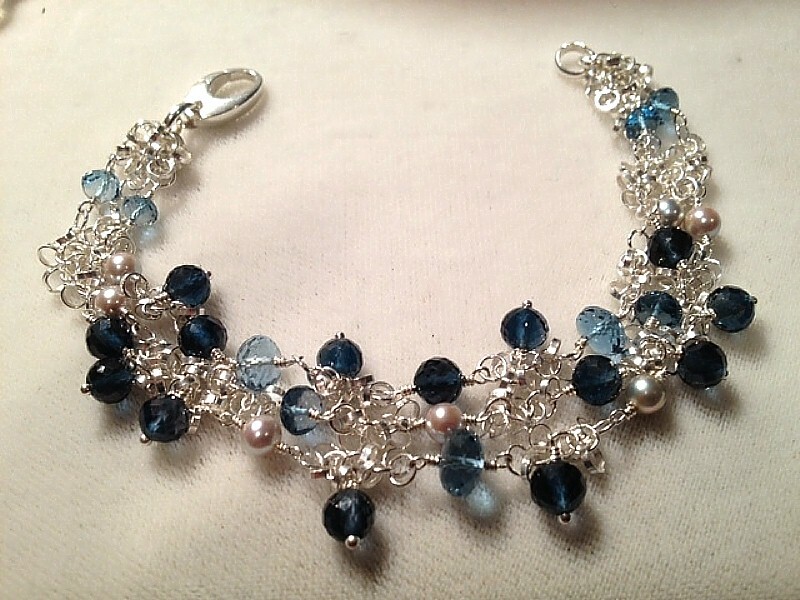 I used a ball shape on this bracelet. I complimented with “normal” London Blue Topaz. One photo was taken outside to show the true colors of the blues. The chaining is Sterling Silver. I think any age women can wear this. See for yourself! I have never worn jewelry but yours makes me want to. I am so glad to see you again!